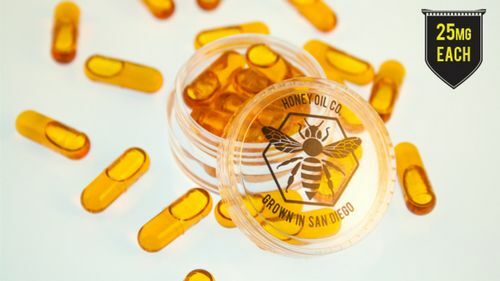 Honey Oil THC capsules contain 25mg of activated THC per cap. Formulated to be easily digested, these discrete capsules will keep your high going for hours on end! Ingredients: THC Distillate, terpenes, MCT oil, soy lecithin, gelatin.